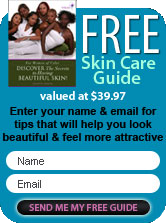 You�ve been overwhelmed for years with whether or not a product is natural, organic or synthetic. What does it mean to you? So what does natural mean? To keep it simple, natural can be defined as being derived from nature, naturally extracted without additives or further processing. Essential oils, herbal tinctures, sea salt, dried herbs and expeller-pressed vegetable and fruit oils (olive, Shea, grape seed) are considered natural ingredients. You�ve asked: "are natural ingredients better than synthetic ingredients?" This is a question of ongoing debate. In aromatherapy for example, you understand that the use of essential oil is working with natures purest ingredients. In holistic therapy essential oils are considered a natural botanical. Synthetic is the process of adding synthetic compounds to stretch an essential oil or adjust its scent or color. This term is used a lot in the fragrance industry as it relates to scenting. There was a time when essential oils were used without altering their purity to make perfumes. It was an expensive process and only Royalty and the Rich wore the pure essence. But synthetics entered the picture as a way of making a perfume more readily available to a larger section of the population enabling the manufacturers to make more money. Organic is often defined as the methods, practices and substances used in producing food crops. But I thought you were talking about black skin care products? I am! When you consider the aloe, jojoba, pomegranate, Shea butter, olive oil, rosemary, lavender is leads you to wonder what the method and practices that these products were grown under. I remember what gardening was like when "real" food was grown with tender loving care, that's not necessarily the case anymore. It's all about the bottom line and how much of a product can be produced within a specific square foot. With organic farming it became necessary to identify them because of the development of industrial and high-tech farming. Organic farming avoids the industrial pesticides and fertilizers. Did you know that some of these pesticides and fertilizers are known to throw hormones out of balance in humans and animals? With organic farming, whether it's for food or herbs for essential oils, it improves the land rather than deplete it and is much better for the environment all around. If it says natural or organic on your black skin care product, you'll know that thought was given to how the product was formulated and manufactured. But more importantly, you'll know that your skin is be nourished with the best of ingredients.